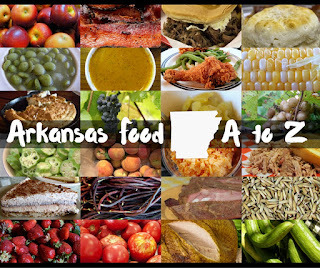 Before you head out to the Arkansas State Fair this year, you probably want to know what’s available to eat. 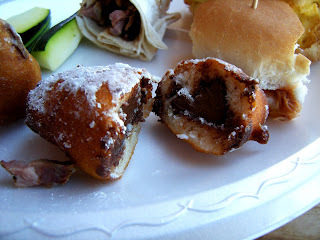 Along with cotton candy, corn dogs and funnel cakes, you’ll find a large variety of items that will tempt your palate. Here’s a quick guide to those neat foods you’ll want to watch for and perhaps consume with the assistance of friends while you’re contemplating what rides you’ll tackle on the Midway. special fair food off your scorecard, go for the likely cheaper barbecue pork or beef sandwiches instead. 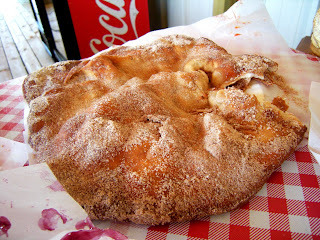 An Arkansas State Fair original. 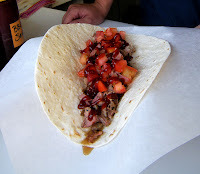 CABRITAS (GOAT) WRAPS: Tasty smoked goat tucked into a tortilla and served with your choice of regular or spicy barbecue sauce. Simple yet delicious -- by not covering up the meat with a bunch of condiments or vegetables, you can really get to that great goat flavor. CHOCOLATE SMOOCHES: Original to the Arkansas State Fair, these are battered and deep fried Hershey’s Kisses. 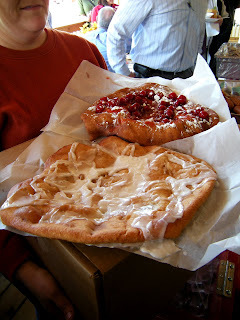 Thanks to the fluffy dough used and the relatively small size of said Kisses, you’re left with a confection half the size of a doughnut that’s both savory and sweet. A real winner. Pick up a tray to share with friends. 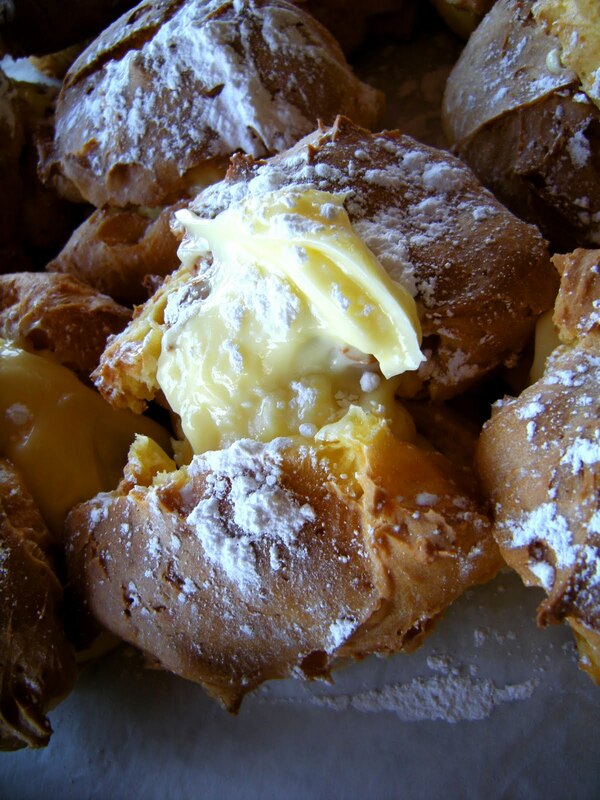 CREAM PUFFS: Big fluffy bigs of crispy dough stuffed with a Bavarian style cream between the layers. Served with a little powdered sugar or topped with chocolate and almost as big as a baby’s head. 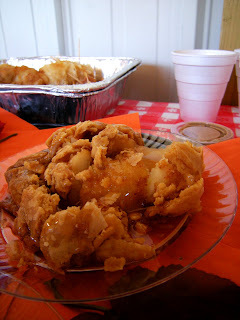 DEEP FRIED APPLE SLICES and DEEP FRIED APPLE DUMPLING: While both are similar in taste, go for the apple slices instead. They’re both served up hot, but you get a better texture on the slices and besides, they’re far easier to share. That, and have you ever tried to eat a hot apple dumpling standing up and holding it? 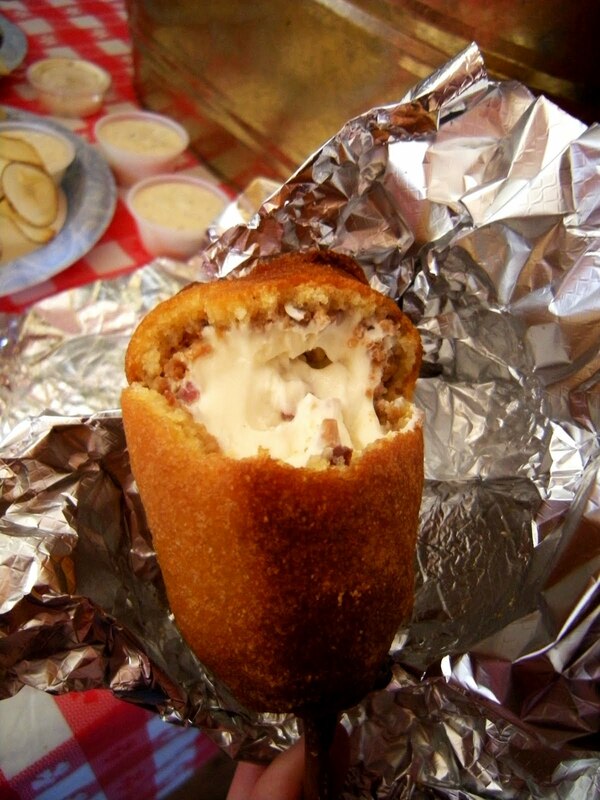 DEEP FRIED CREAM CHEESE AND BACON ON A STICK: This might have gone too far. You end up with a corndog style breading around a lump of cream cheese about the size of a box you’d get at the store, studded with Bacon bits. 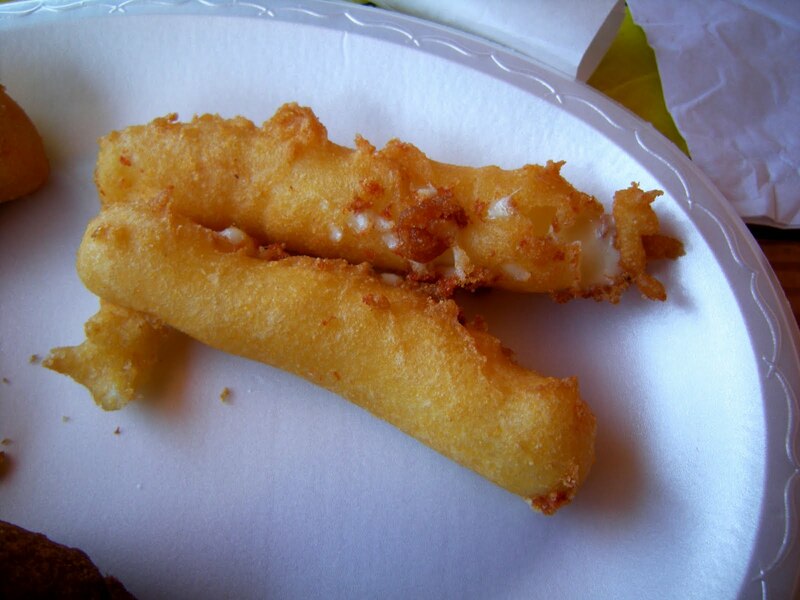 Unless you really like bacon and cream cheese, go for the Wisconsin Fried Cheese instead. 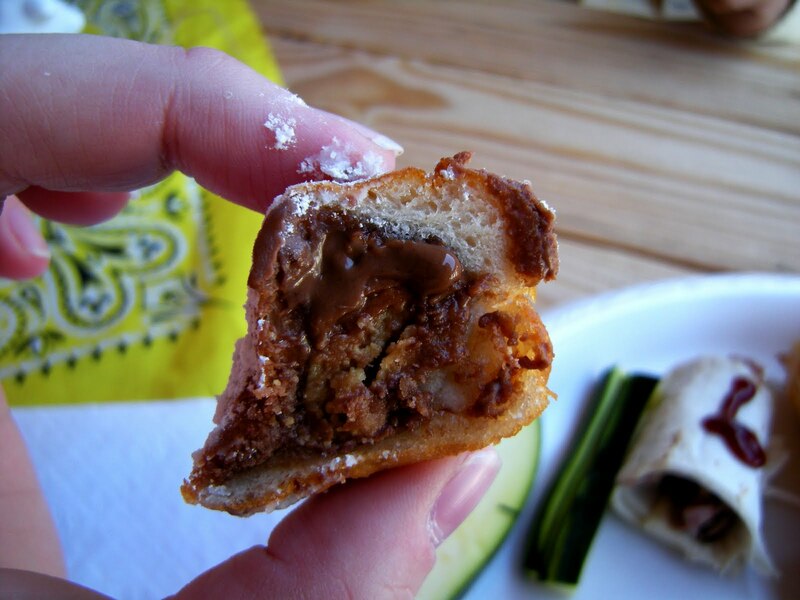 DEEP FRIED PEANUT BUTTER CUPS: Seen at the Texas State Fair, these are simply Reese’s Peanut Butter Cups wrapped in dough, deep fried and topped with sugar. Tasty but very, very sweet. Go for the Chocolate Smooches instead unless you’re a huge Reese’s fan. 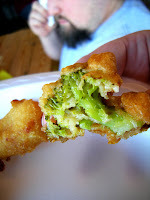 DEEP FRIED VEGGIES: Broccoli, cauliflower, carrots, zucchini and onions are all batter dipped and dropped in the fryer for this treat. 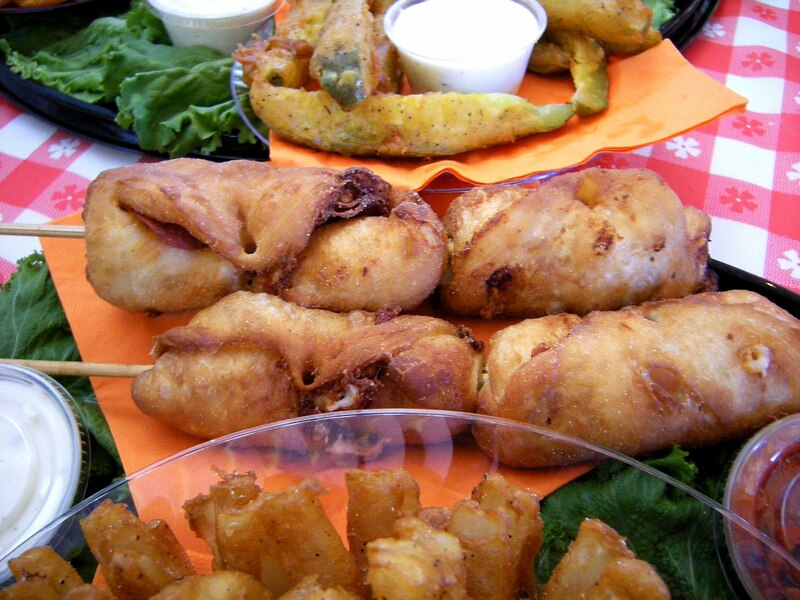 Tastier than it sounds -- and the one sure-fire way to get your kids to eat veggies at the fair. EGG ON A STICK: This is a hard boiled egg, battered up and deep fried just like a corn dog. 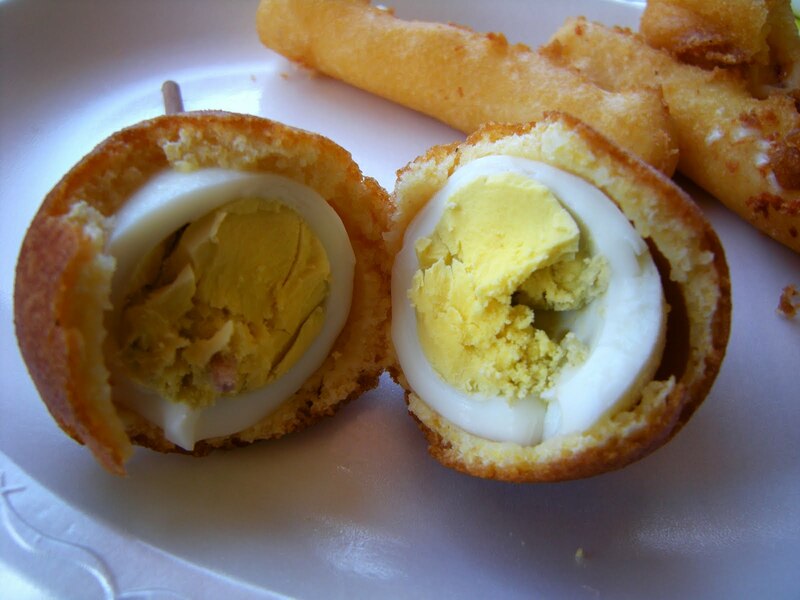 It’s not as icky as it sounds -- in fact, it actually sorta works, if you like hard boiled eggs. Get yours with Jalapeno Ranch sauce -- or if you’re a mustard sort of person, they have a nice stone ground sauce, too. ELEPHANT EARS: Big (12-14”) oblongs of thin dough deep fried and topped with one of many toppings -- cinnamon sugar, icing, cherry topping, blueberry topping, strawberry topping or chocolate. They’re meant for sharing and are very light. Eat them quick, though -- as they get cool they become harder to tear apart. 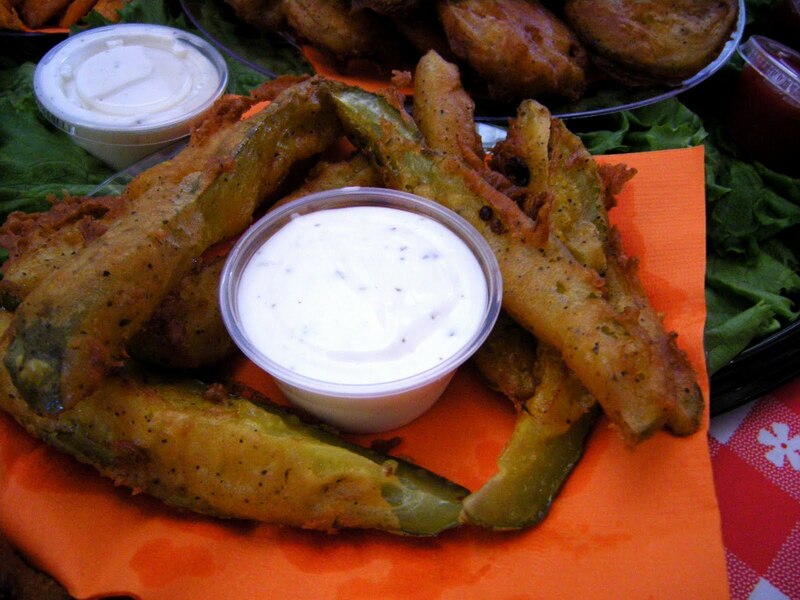 FRIED DILL PICKLES: They’re spreading everywhere! 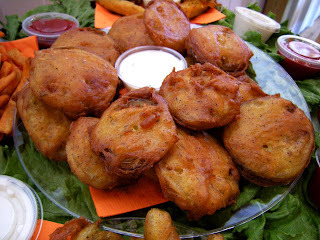 The difference is (like with the Fried Green Tomatoes) is that they’re deep fried with a tempura like batter. Don’t forget the sauce. FRIED GREEN TOMATOES: Not your Whistle-Stop Café variety, these rounds of green tomato are dunked in tempura batter instead of cornmeal before they head to the deep fryer. Have yours with Ranch or Honey Mustard. GATOR ON A STICK: Chunks of alligator battered and deep fried on a stick. It’s exotic, sure, and if you’ve never had gator before you might as well give it a shot. Tasty, a bit salty, but some folks are going to say it tastes like chicken. Sorta. 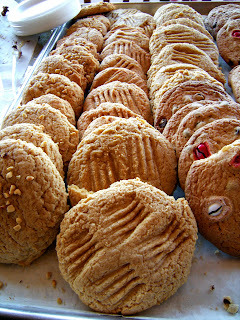 GIANT COOKIES: Can you ever really go wrong with a big cookie? Probably not. This year’s varieties include M&M and peanut butter. HILLBILLY HOMEBREW: A sweet yellow blend of orange and pineapple juice with lemonade, sweeter than lemonade and not as harsh. Pretty good, actually. 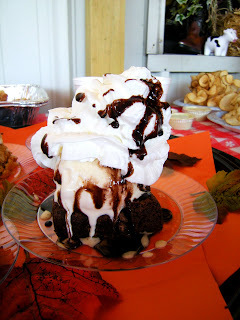 HOT FUDGE BROWNIE A LA MODE: A big chunk of brownie with an impossible for one person to safely consume scoop of ice cream and whipped cream on top. Tasty, but you can get this almost anywhere. 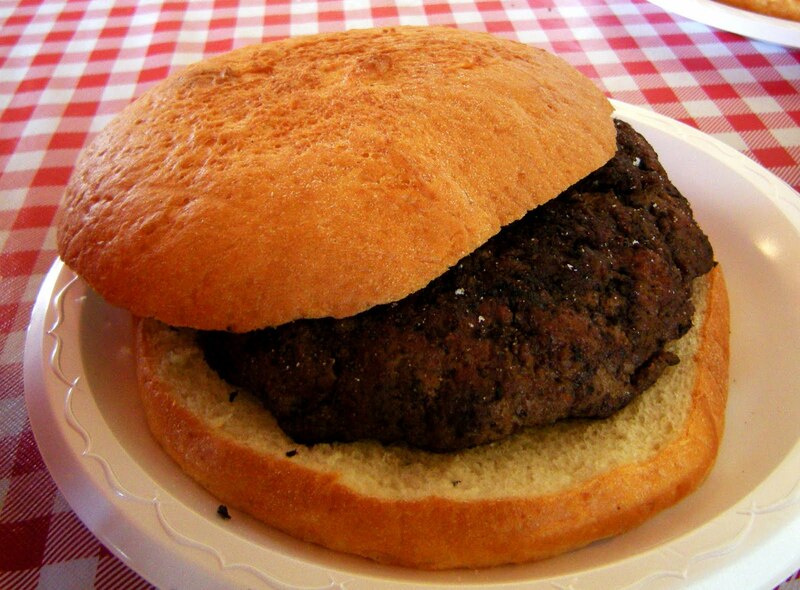 HUBCAP BURGERS: These massive one pound burgers come served up on a Community Bakery baked bun for roughly $8. They come across the bar just meat and bun; vegetables and condiments are also provided. 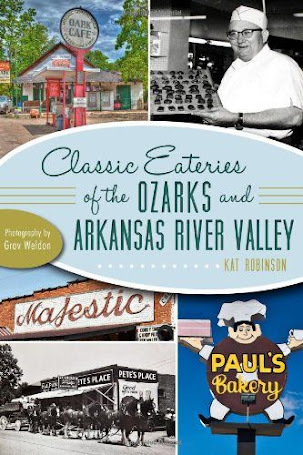 Other variations include the Hubcap Chicken Sandwich and the Hubcap Fried Steak Sandwich. 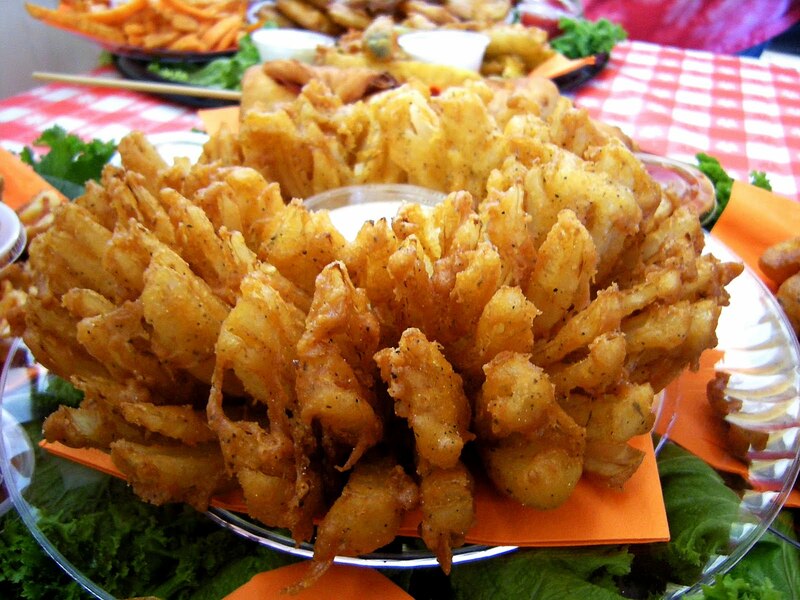 ONION BLOSSOM: Twenty years ago this was a novelty. Now the big reason to get this at the Fair is if you really like onion rings but don’t want to worry about dropping those rings everywhere. Still tasty, just not that unusual. PEPPERONI PUFF ON A STICK: Basically a pepperoni pizza, rolled up and tucked in and skewered on a wooden rod. The idea is good and the execution is nice, but our experience is that it’s similar to a Totino’s Pizza Roll in flavor. You can have pizza at home. PINEAPPLE WHIP: I know far too many people who swear by these to argue. A delicious blend of vanilla soft serve and pureed pineapple, served in a cup or cone. TATER DOG: The Tater Twister, but with a hot dog inside. 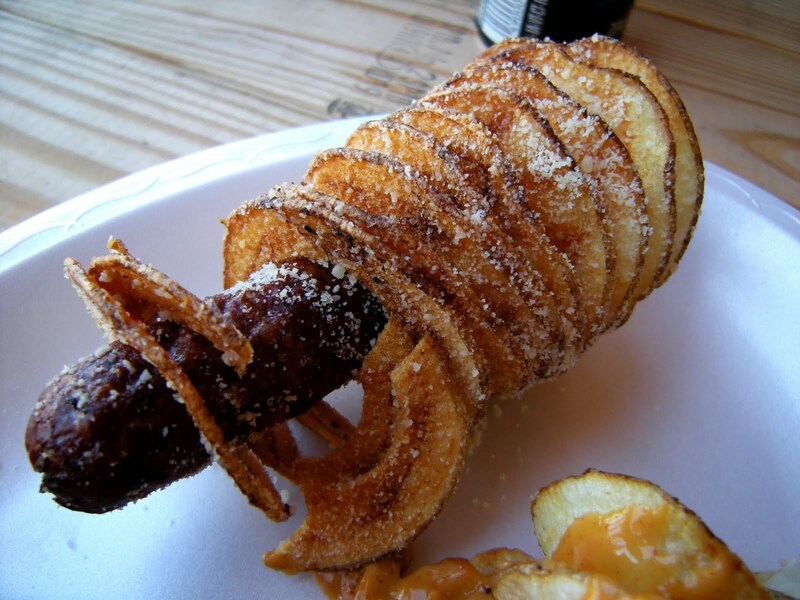 Actually, this is a pretty neat idea -- taking a hotdog and inserting it in a spiral cut potato before deep frying it. The frying process gives the hotdog an unusual texture; you might ask that they go light on the salt, it can be way too salty otherwise. TATER TWISTER: The name is almost more interesting than the dish. What you get is a single long potato that’s been spiral cut, deep fried and sprinkled liberally with salt and seasonings, served up on a stick. More potato chip than French fry but more fun to eat. WISCONSIN FRIED CHEESE: Cheese curds and cheese fingers from Wisconsin, battered tempura-like and served very hot. 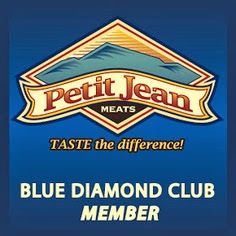 Better than cheese sticks at your local restaurant and highly addictive. 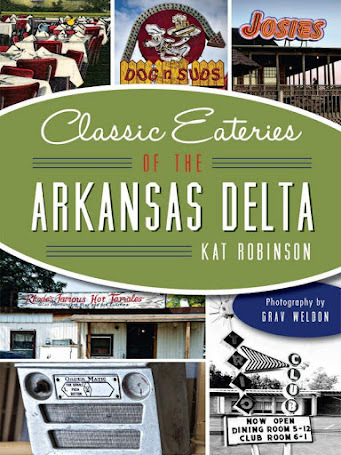 Click here to watch Kat talk about the cool new foods at the Arkansas State Fair on KARK Today at Noon with Mallory Hardin. 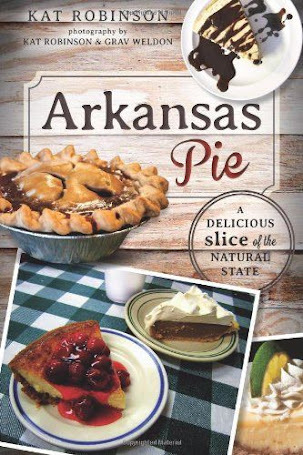 Arkansas has some serious imagination with the batter! Here in Lebanon fried broccoli is common too - I think its dipped in a flour mix first rather than a thick batter, but it's definitely more exciting than the steamed variety. 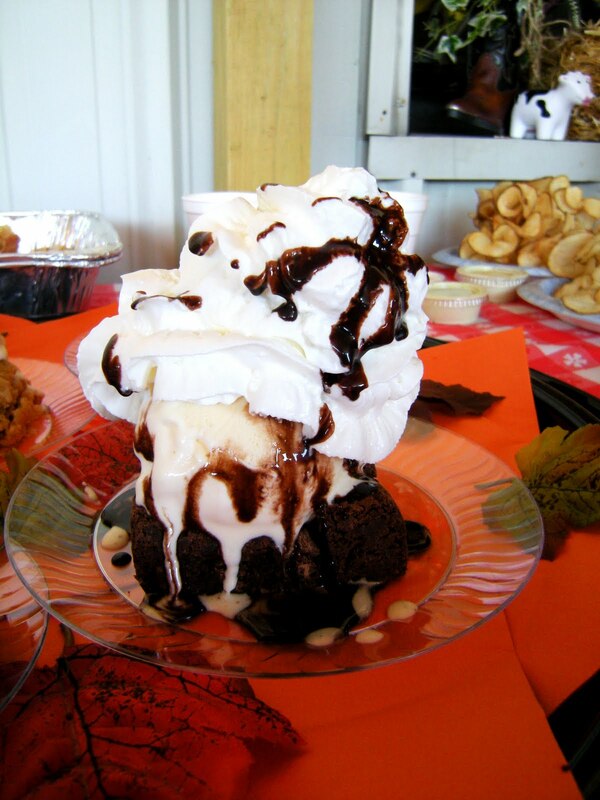 Sign me up for some chocolate smooches and deep fried peanut butter cups!! I think I'm in love!